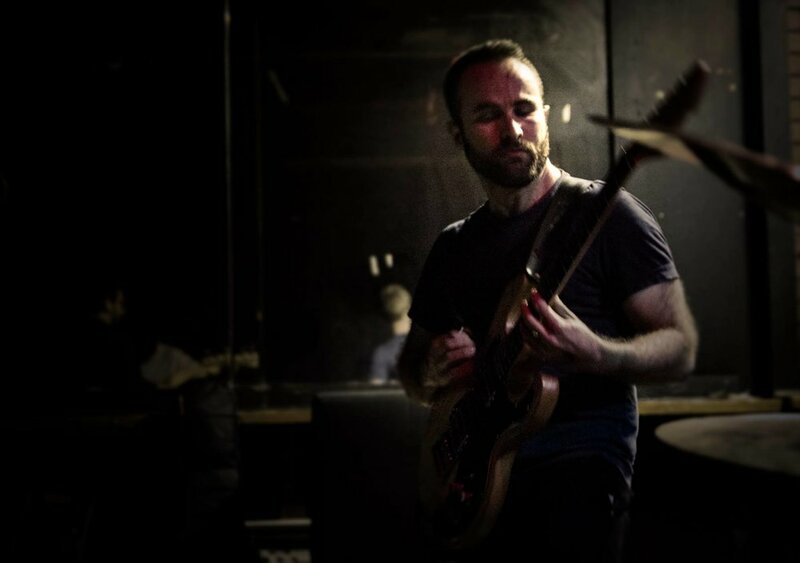 Brendon Randall-Myers is a Brooklyn-based composer and guitarist whose music reflects a fascination with how sound is physically produced and perceived as well as a deep love of music’s function as source of community and human connection. His work has been described as “endlessly compelling” (San Francisco Chronicle), "intricate and dynamic" (I Care If You Listen), and "massive in its impact" (Sarasota Herald-Tribune), has been performed by the Bang on a Can All-Stars, the Omaha Symphony, Dither, and Friction Quartet, and received support from the Jerome Foundation, New Music USA, New York State Council for the Arts, the Guitar Foundation of America, the Foundation for Contemporary Arts, and ASCAP. Brendon is the co-founder of composer-performer ensemble Invisible Anatomy and avant-rock band Marateck, as well as a member of the Glenn Branca Ensemble and the Dither Big Band. He has performed in clubs, concert halls, and basements around the world, including the Barbican Theatre (London), the Kennedy Center (Washington, D.C.), and the Forbidden City Concert Hall (Beijing). Brendon grew up home-schooled in rural West Virginia, and holds degrees from Pomona College and the Yale School of Music. His non-music interests include distance running and yoga, travel, spicy food, questionable sci-fi/horror, and watching people on the internet beat video games really quickly. He and his wife Fay split their time between Brooklyn and Beijing.